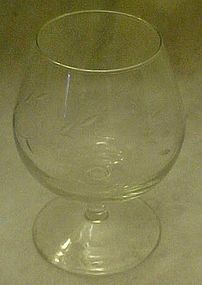 Princess house crystal brandy glass in the heritage pattern. Measures 4 3/4" tall. Pristine condition . I have 2 available in this size. Price is per glass. Other pieces available in this patern, I combine shipping and you pay only actual shipping cost... no extras.